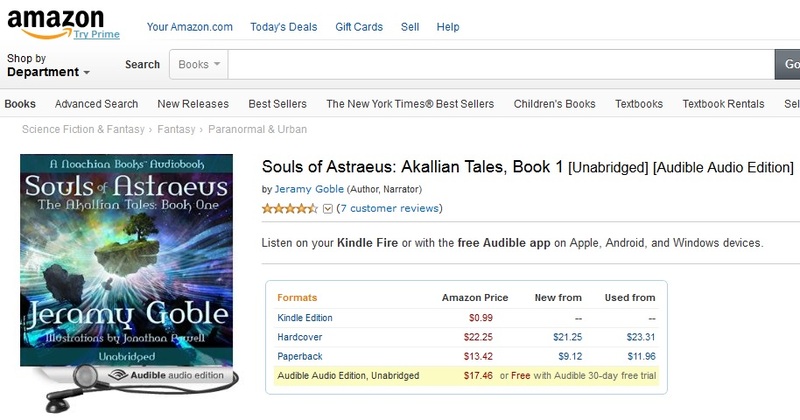 I submitted it through ACX earlier this week, and after an initial audio quality check, ACX linked the audiobook version of Souls of Astraeus to the page with the Kindle version, paperback and hard cover. Neat! But, there’s more, (hehe)! Those who sign up for my newsletter, (you can do so via the sign up box towards the top left of my blog here, or by clicking the link to sign up for my newsletter on my main website, (http://www.soulsofastraeus.com), will be entered in a daily raffle, (again, through the end of 8/24/14), for a free Audible code to get a free copy of the audiobook! Bloggish Stuff | Audiobook is live!